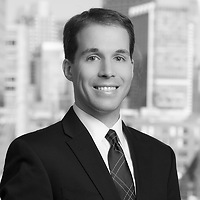 Rory P. Pheiffer, a partner in Nutter’s Intellectual Property Department and a member of both the Emerging Companies and Life Sciences practice groups, presented at the Boston Bar Association’s (BBA) “What’s it REALLY like Working in Boston’s Tech Space: Summer Career Series 2016” on July 28. The BBA’s lunch series provides new lawyers and law students with an inside look at the practice of law from attorneys in a variety of practice areas. Rory discussed what a typical day in his field is like, advice about which skills to focus on to succeed, and the inside scoop career opportunities working in-house and in firms working with clients in Boston's tech space.